Since my Last post I have been delving into the paper work concerning the new Wessex Gallery and speaking to project staff and volunteers. The main aim of this blog is to keep you all informed and updated about what is happening with the new gallery, and tell you about the hard work that has been put into this major redevelopment project by volunteers. 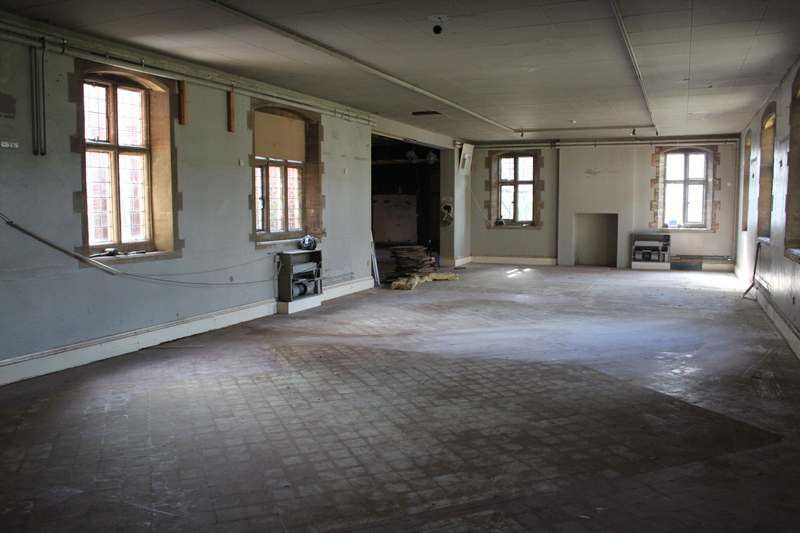 Anyone who has visited the museum recently may have noticed that the left wing, where the archaeology galleries used to be, is now a big empty space with seemingly not much happening in it! It was essential to empty the galleries as early as possible (removing both artefacts and cases) in order to get exact measurements for the designers (Metaphor) to work with. The overall structure of the new gallery design is now fixed, and Director Adrian Green and Project Curator Jane Ellis-Schön are busy finialising content. The final piece of the jigsaw is about to fall into place – the project went out to tender for the main building contractor in July. They will be appointed mid-late September to begin work on the site in October. 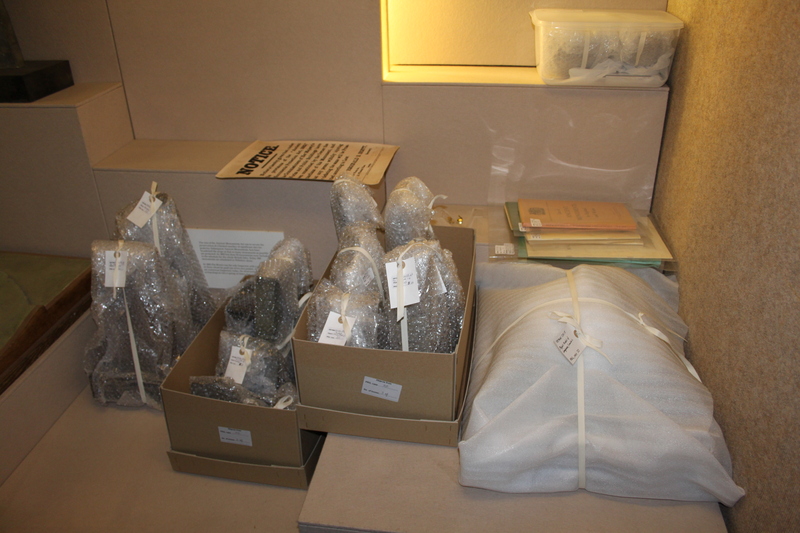 One of the biggest tasks connected to the development of the new archaeology gallery has been the decanting of the objects from the old galleries. I mentioned in my previous post that the decanting took 39 volunteers 827 hours to wrap, pack and record 3,200 archaeological artefacts! The decanting began in March and was completed in May 2013. Having such a large volunteer team working on a task of this magnitude had never been done before at Salisbury Museum. Volunteers received training in how to handle objects and were given instructions on how each artefact should be wrapped, recorded and packed away. It was important that volunteers knew what materials they needed to use when wrapping certain objects. Many items in the collection require specific materials such as acid-free tissue paper or specialist foam sheeting in order conserve them properly. 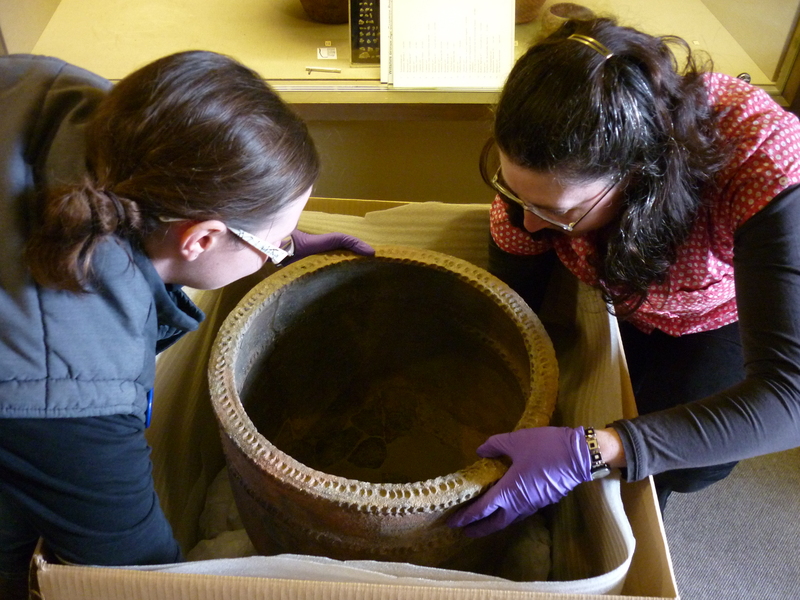 Why did you volunteer for the HLF Archaeology of Wessex Gallery? “It is a very exciting project and decanting gave me an opportunity to hold objects, understand more about them and learn about their conservation and storage.” – David Balston, Volunteer and Trustee of Salisbury Museum. “[I wanted] to be more involved in a major project and gain more knowledge about the collection.” – Martin Callow, Volunteer and museum employee. “Volunteering for this project was an easy step for me as the many skills gained through my working life and through my more recent studies [in archaeology at Bristol University as a mature student] would all be put to good use.” – Phillip Shukman, Volunteer. What has been your favourite experience on the project so far? “Perhaps the highlights have been looking at the artefacts really closely and handling them, particularly the prehistoric items…a further highlight has been seeing the accurate recording and labelling attached to the artefacts by General Pitt Rivers (or probably his staff!) after excavation during the 1880s.” – Sue Martin, Volunteer. “Handling the objects and understanding the needs of different materials to be used to pack different types of objects.” – Heather Balston, Volunteer. “Meeting other volunteers, seeing their enthusiasm and watching the galleries empty faster than I would have thought possible.” – David Balston, Volunteer and Trustee of Salisbury Museum. 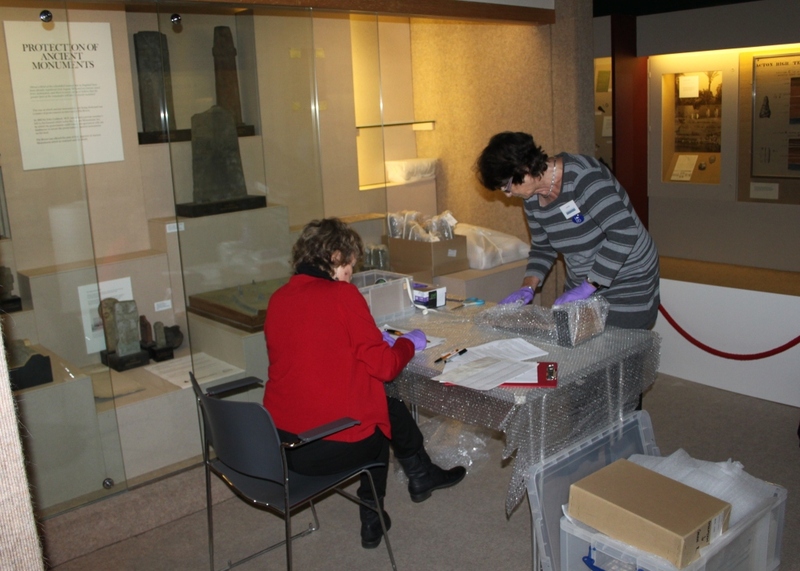 You can find out more about the volunteers’ work at Salisbury Museum and learn how you pack archaeological artefacts in the Museum’s current temporary exhibition ‘Watch This Space!’, which runs until 18 January 2014. If you would like to hear more about volunteering at the museum you can watch short video interviews with volunteers Ruth Wills and Liz Kemp on YouTube. The interviews were conducted by Volunteer Centre Wiltshire to celebrate Volunteer Week 2013. Both Ruth and Liz have been involved with the redevelopment. (Ruth’s interview http://youtu.be/3fIft8cPWN0) (Liz’s interview http://youtu.be/GpLsfIoxoYg).